Any game that depicts real life wars where people were actually killed is going to be controversial. I've mixed feelings about this book because war is supposed to be bad but in this book we are presented with art that actually looks beautiful. You know war is bad but you're still admiring the art of war scenes. Imagine the strange juxtaposition. Well, at least this book wasn't banned in Germany like The Art of Wolfenstein: The New Order. Putting the controversy aside, most of the artworks look good to me although some might argue the other way. There are lots of character designs, environment art and scene paintings. Some of the environment and scenes are very clearly painted over 3D models and there are few stills from the games also. The 3D paint-overs look good to me. While some artworks are have a more realism look, others have a more painterly look, as if they were painted in 18th century style. Some artworks definitely have a very in-game look. Overall, the composition of scenes are nice. There are lots of action scenes. The aerial shots of landscapes are great, and so are the haunting scenes of destroyed towns. Detailed pieces have lots of details to look at. Painterly ones have nice textures. There are even paintings of paintings inspired by portraits and landscapes painted in the 18th century. Strangely missing are the weapon and vehicle designs. The book on armed conflict doesn't feel complete without those. 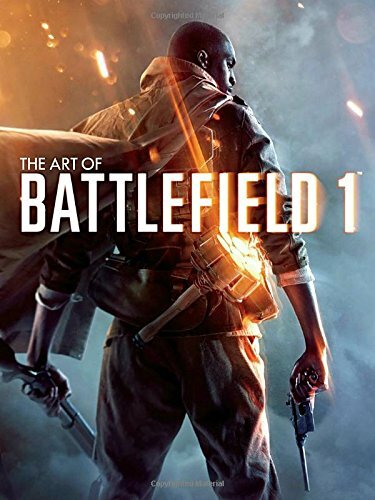 Since the game was inspired by WWI, it would have been cool if they could have included reference photos they got their inspiration from, or at least talk more about the history. Any mention of actual history is brief. This artbook focuses only about the game. By the way, there's a code provided that you can use to get an exclusive "Dark Horse" dog tag in the game. Amazon is currently selling the book at US$50 which is quite expensive. You can find it cheaper on Book Depository or at other places. Or wait for the price to come down. Overall, it's a decent companion. Fans of the game should not be disappointed.